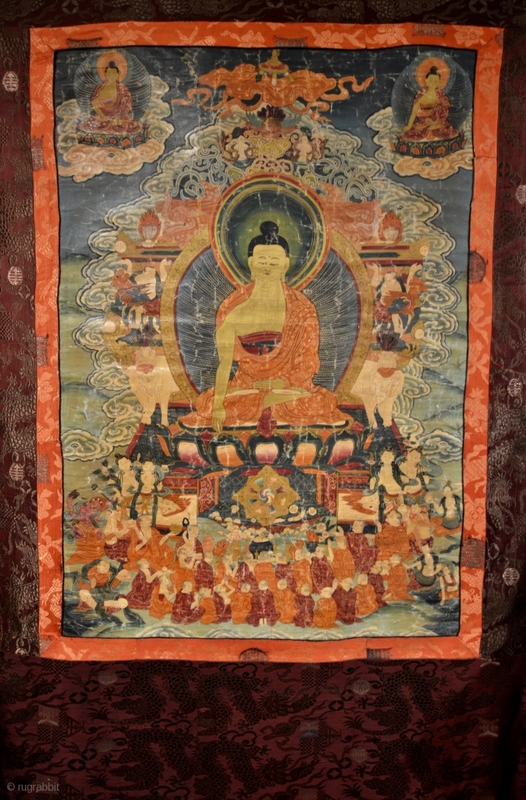 18th Century Thangka Depicting Shakyamuni Buddha, a stunning Tibetan thangka with Shakyamuni Buddha seated atop a lotus throne with hands in bhumisparsa mudra, surrounded by intricate narrative scenes with very fine details, and surrounded by smaller deities floating on a clouds painted with mineral pigments on cotton and embellished with outlines of gold, silk draped framing. 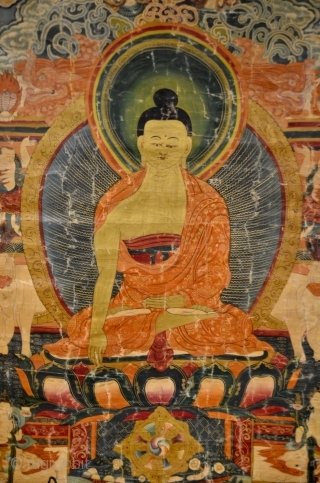 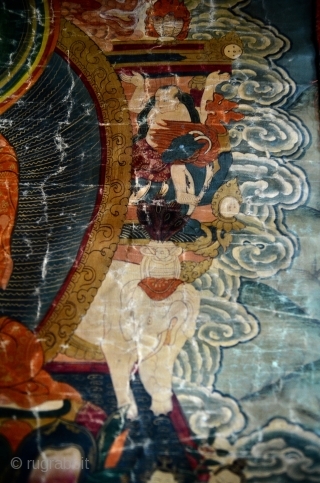 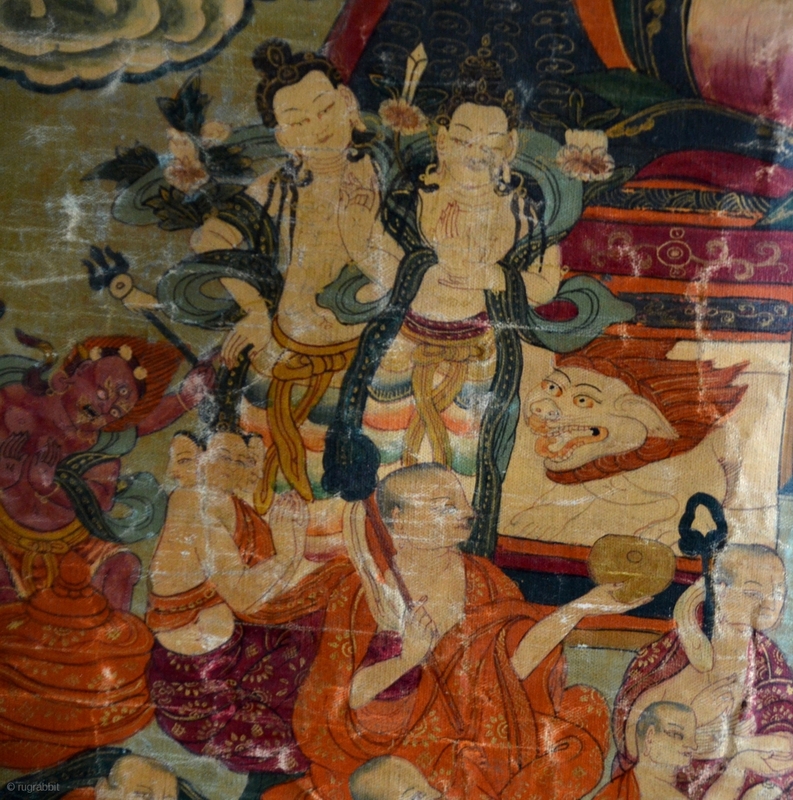 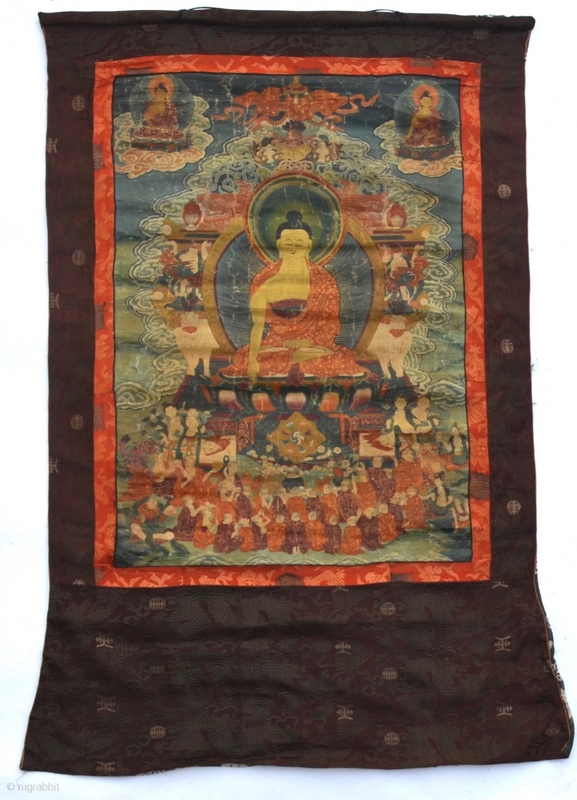 A museum quality Thangka. 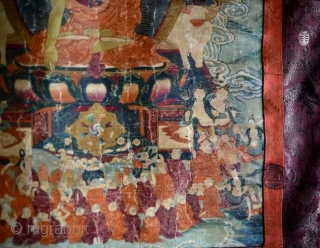 painting 31.5" x 21" complete piece 47" x 29"